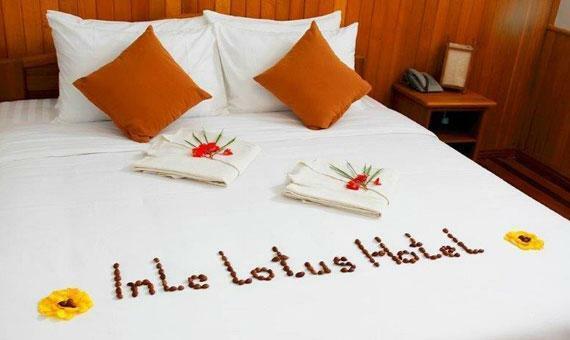 Heeft u een vraag voor Inle Lotus Hotel? 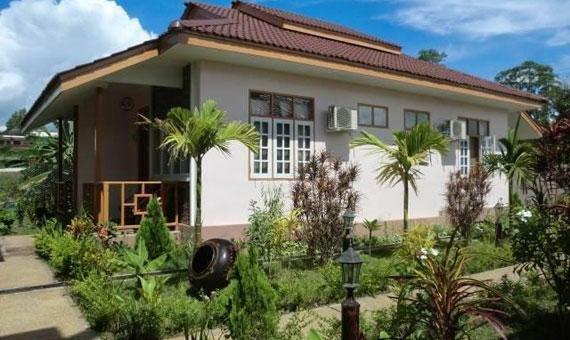 Het aanbieden van kwaliteitsaccommodatie in cultuur, bezichtiging van bezienswaardigheden, religieuze interesse district in Inle Lake is populair voor zowel zakelijke reizigers als toeristen. Het levendige stadscentrum is slechts 1.6 km verwijderd. 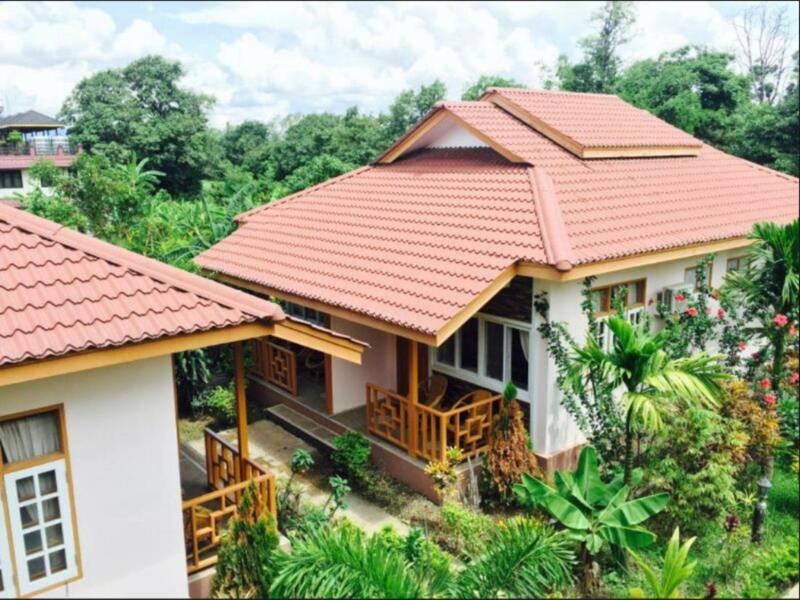 'Sightseeing' opties en lokale attracties hoeft men niet ver te zoeken, aangezien de accommodatie in de buurt van Bamboo Delight Cooking School, Kan gyi kyaung, Hlaing gu kyaung ligt. Inle Lotus Hotel biedt vele voorzieningen om uw verblijf in Inle Lake zo aangenaam mogelijk te maken. Terwijl u in deze geweldige accommodatie verblijft, kunt u genieten van 24-uur roomservice, gratis wi-fi in alle kamers, ticket service, taxi service, 24-uur receptie. Het hotel biedt 20 prachtig ingerichte kamers voor gasten, velen zijn inclusief plasma tv, gratis welkomstdrankje, spiegel, slippers, handdoeken. De beschikbare recreatiemogelijkheden in de accommodatie zijn inclusief tuin. 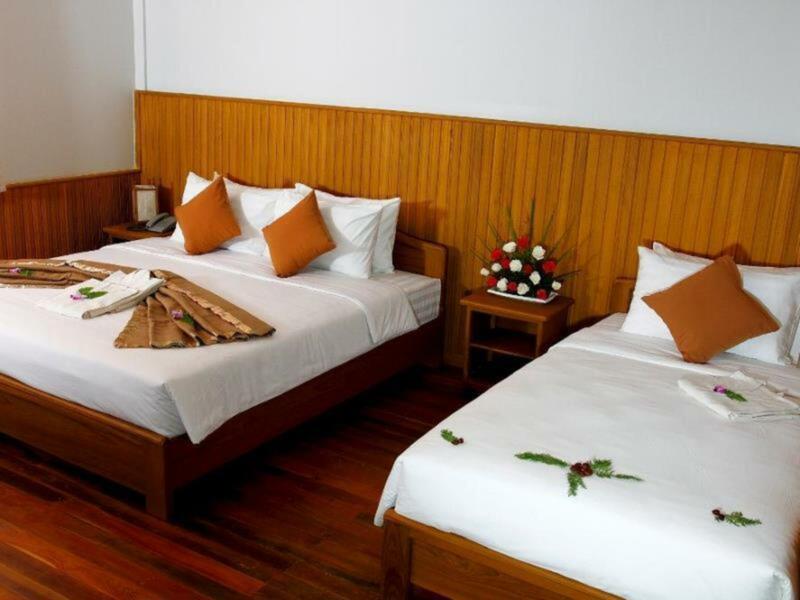 Inle Lotus Hotel is een uitgelezen keuze als u een kwaliteitsaccommodatie zoekt in Inle Lake. Warm and friendly to customers. Also explained and arranged for us to visit Inle lake and Indein Pagoda and Village. One the way back, we forget our NIRC in this hotel and a brother called us and send to us by himself. We only have to wait the nearby place to collect it. Thanks for your explanation and helping us. We will visit again. 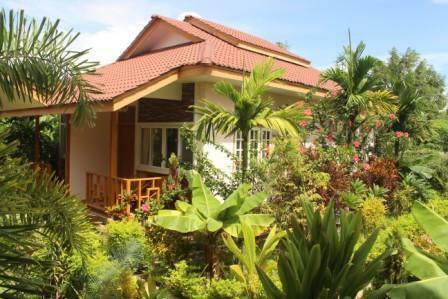 We suppose to stay at inle lotus for 3nights but we actually booked for One more night! We liked a lot the bungalow, very clean, every day two bottle of water and coffee in the room. Staff very kind ad helpfull, they offer us early check in and late check out free of change and we really appreciate that. The only thing Is that the wi fi doesnt work very well and that to move around you Need the bike but you Can rent It there! If You pass by inle lake you should stop there! This was a last minute booking and I feel incredibly honored. We arrived a 4:30 am knowing that the check in start at 14:00. Totally exhausted after an overnight trip. The friendly receptionist told us that we would be able to check in early at no adicional cost. The helped us with all our needs very promptly. The property is beautifully decorated and very cozy. We look forward to return to this place again very soon. Mingalabar Inle Lotus. Great job!!! We enjoyed our stay here. It’s 5 minutes by bicycle to get into town. It’s quiet and the gardens are very pretty. The chef is excellent and the staff very professional. We loved our stay at Inle lotus, especially thank to the personnel. The owner (?) was extremely helpful to arrange a trip on the lake which was perfect and a bus ticket at very reasonable prices. The room was spotless, exactly what we needed. The place is a little outside of Nyaung Shwe but easy to reach via tuktuk and this providing an extra quiet place. We are group of four has come the hotel from early morning and leaved late of afternoon however the hotel did not charge us anything. Staffs are friendly especial Nickt- Hotel manager who that told me so much information about Myanmar cultural. Thanks for your serving. Cozy setting with comforbale beds. Very nice showers. The staff were friendly and professional. My only discontentment is the smell if burnt garbage in the air - but this is all over Nyaung Shwe. A very good value hotel, nice quiet location, town easily accessible by bike. Staff couldn't have been more polite and helpful. It's such a Gem in Inle. The hotel's owner and the people here really amazed us with their hospitality and kindness. We arrived quite early in the morning and he offered early check in for us without any surcharge, which was clearly so kind to us as we could take a shower, get some sleep and recharge our energy after a night on the bus. There is a very good local restaurant just 3-min walking. We had some Inle traditional food there. The manager also helped to arrange our private boat tour on Inle lake and kindly prepared our take-away breakfast as we left very early that morning for the sunrise.This is the most enjoyable stay we had during our trip in Myanmar. Thank you for your hospitality!! This is a very good hotel. Service was fantastic. It’s a bit outside of the downtown, so you’ll have to rent bikes to get into town. They have plenty available. Laundry and food is a little more expensive than in town, so go into town for that. WiFi is very hit or miss in Inle Lake with most guesthouses/hotels and restaurants, and this was no exception, so expect to be offline for most of your time here. This is a lovely hotel overall. Wonderful breakfast with fresh bread. Staff were also very helpful and kind. A little far away from the center of town, but this is my necessarily a bad thing. Plus, the hotel has bikes available for rent, so the distance is not so bad. A bit out of town- but very quiet and comfortable rooms. Fantastic food in the restaurant- some of the best meals on our trip. Very nice staff- had bikes to loan and a free shuttle to town. Good beds and ac- would stay again! We had a great stay at this lovely quiet hotel just outside of the main town of Nyaung Shwe. There are 8 bungalows in a lovely garden setting just off the main road, this hotel offered us a reprieve from the dust and noise of "downtown". The free bikes made it easy to ride into town in less than 10 minutes. The wifi was a bit weak but available in the room. Breakfast was averagae for Western standards but the staff were so lovely it didn't matter. Every morning we had a different fresh juice and eggs cooked to our liking. It was great value for money! I miss the Lotus. I highly recommend it. Breakfast indoor was great, daily fresh baked bread, fresh fruitjuice and a warm athmosphare. It is quiete, only 10 min away from down town with the bike, which is free. I love doing some excercise too. Special thanks to Nay Kaw Htoo, Myo Myo and Zin Bo. They really took care of me. Hope to see you again. Thank you!! The fact that they gave us our room at 5am without any charge was really appreciated. The hotel can organize you daily boat trips and rent bicycles at a normal price. The weather is however a bit cold at night and morning in Inle and the room is not really isolated so it is a bit freezing when you need to go out of the bed and take a shower in the morning. The location of the hotel is ok but a bit far from restaurants for dinner. Very nice rooms, beautiful garden, very nice staff. The Inle Lotus Hotel is pretty new and it shows. We enjoyed our stay including the breakfast very much. The hotel is approx 2 km away from the center which makes it very quiet. The road leading into the city is dark therefore we never walked after sunset. Instead we used the bikes which are free for hotel guests. Good restaurants can be reached in 5 minutes by bike. The service we received at this hotel was simply the best we experienced in Myanmar and that says a lot as people are generally super helpful and friendly in Myanmar already. The staff went out of their way for us, especially the manager Nico. They even sent a car out at 2am when they noticed that my friend hadn't come back yet. They also helped us make all our tour arrangements e.g. booking transportation to the winery, booking a boat tour, even though our group included friends not staying at the hotel. The location is slightly further from the centre, but the hotel provides transport at $2 per trip. Oh and I was pleasantly surprised as they actually had rain showers in the bathroom!